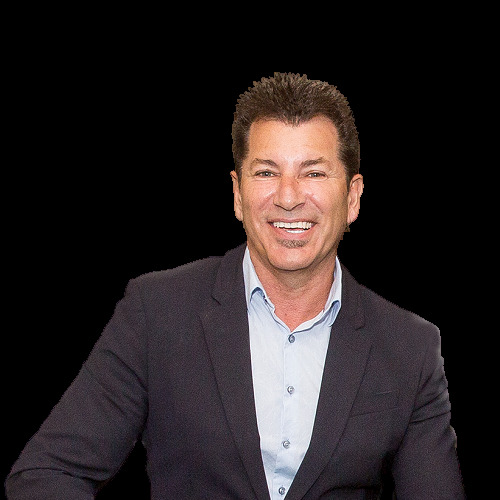 John is founder and Managing Director of Platinum Realty Group, a modern and innovative, total solution real estate Company with a focus on delivering a 6 star real estate experience to every customer. 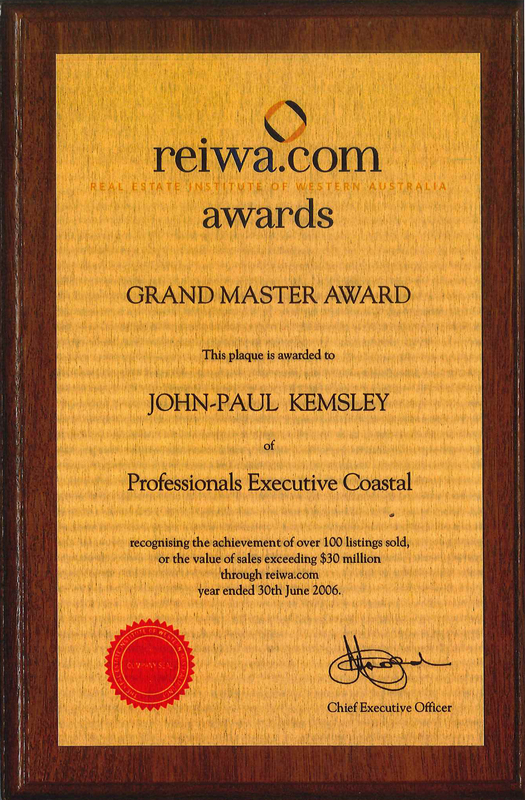 Starting his career in real estate in 1996, John has been recognised by his peers as a leader and a visionary with an ability to remain ahead of an ever changing real estate market. 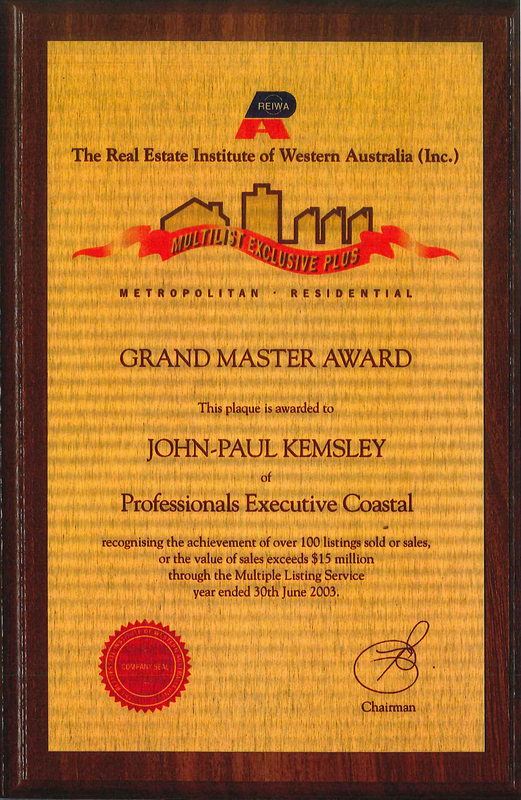 Winning acclaims by the real estate industry of WA including the Master sales person, as well as multiple Grand Master awards. John continues to work as a mentor to others and has served on boards and committees as well as speaking at numerous training events. John’s skills, knowledge and attitude have propelled Platinum Realty Group to become one of the largest and most successful real estate brands in the Northern suburbs, providing services in property sales, management and maintenance, as well as finance, investment and settlement advice. As well as the hands on running of Platinum which includes working closely with the Management, Sales and Property Management Teams, one of John’s greatest business achievements is attracting some of the industry’s best sales and management people to work with. When you engage John you will engage his total commitment! John, Thank you sincerely for your efforts, we really appreciate your enormous time and effort and your way of communicating the process which assisted us to deal with any stress – we were extremely pleased with the outcome. We wouldn’t hesitate to refer you to our family and friends. John and his team at Platinum have looked after my interest for almost a decade and a half. 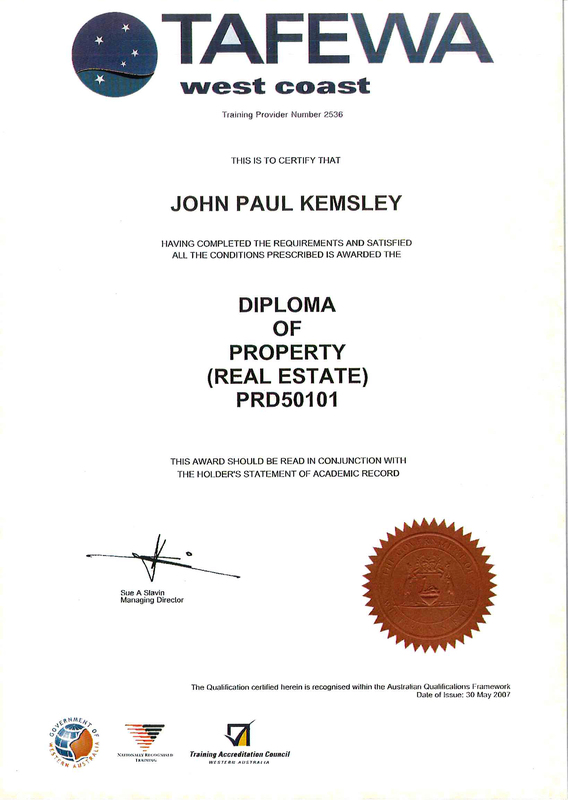 John has represented me in residential sales, residential management and investments and land developments. John’s experience in real estate covers a broad range of skills and knowledge and I would recommend him to anyone looking to increase their wealth trough real estate. I’ve known John since 2001. Since then I have had many dealing with him including the major development of a motel and subsequent sales, residential sales. And management. As a Property developer I’ve always felt confident in Johns ability to steer my projects in the right direction. His knowledge and experience are second to none. Cant’ thank you enough for the way you handled the sale of our home. Your energy and positive attitude resulted in a quick result. Working with you John is an absolute pleasure. I have pleasure in commending you for your excellent service. Due to your professional conduct I would be happy to recommend you to potential clients. 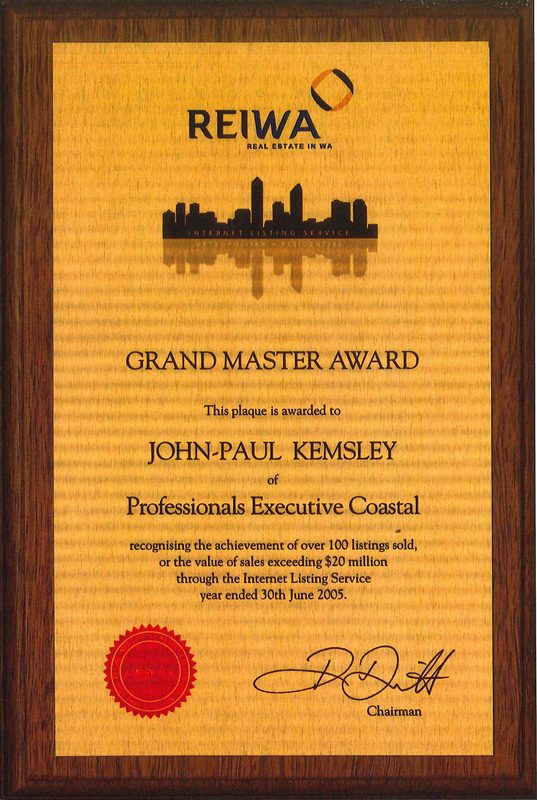 We’ve been working with John Kemsley Principal at Platinum Realty Group over many years. 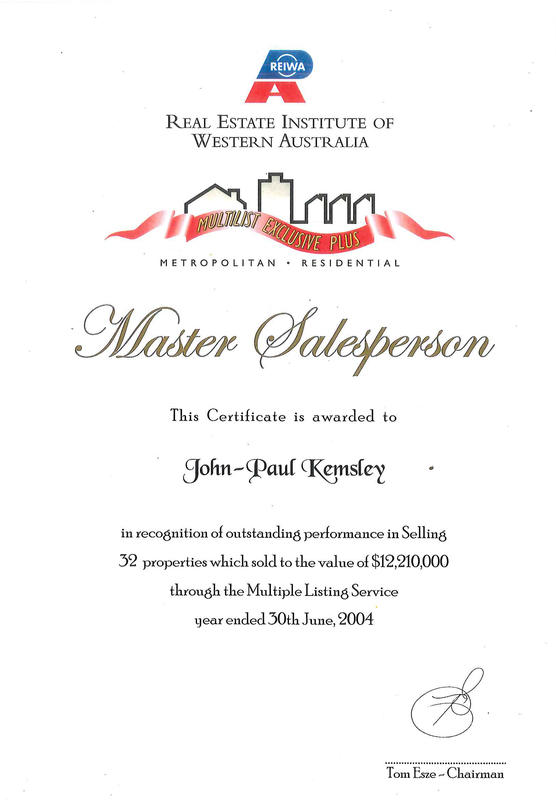 During this time John has sold our properties as well as managed our properties. John is very knowledgeable and I would recommend him to anyone looking for good real estate advice. Thanks so much for your assistance and efficiency in handling the purchase for us. I cannot fault your service and you assured everything went smoothly. I will certainly recommend you to my associates. In appreciation of your leadership and guidance. You are an inspiration to us all.